Read Duffey’s full post on Facebook. Duffey is right to listen to women. As he notes, only 1% of abortions occur after 20 weeks of gestation, and the circumstances are not at all easy. 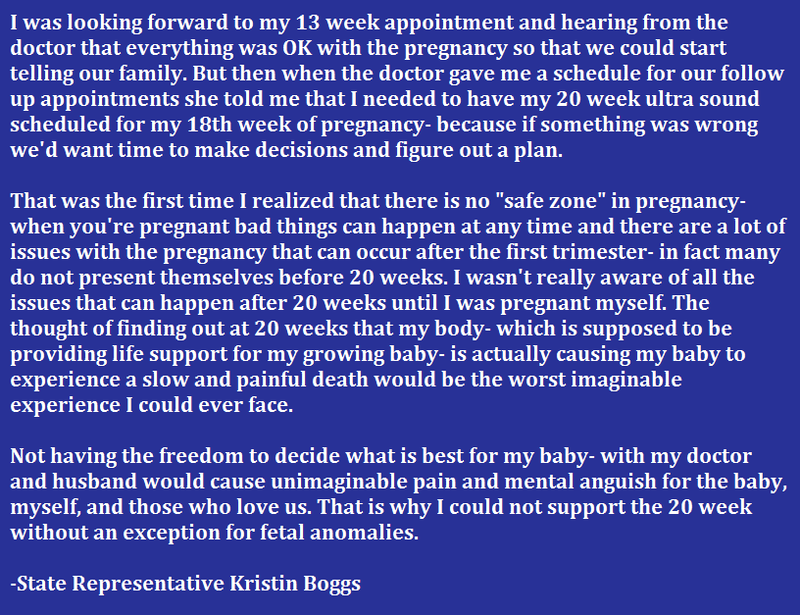 We reached out to State Representative Kristin Boggs, herself 39-weeks pregnant, to find out what she said that moved her colleague. Duffey rightly decided not to substitute his judgement for that of a woman and her doctor, especially not knowing the circumstances she is facing. Duffey’s enlightened position on this issue was only arrived at thanks to women stepping up to tell their stories. 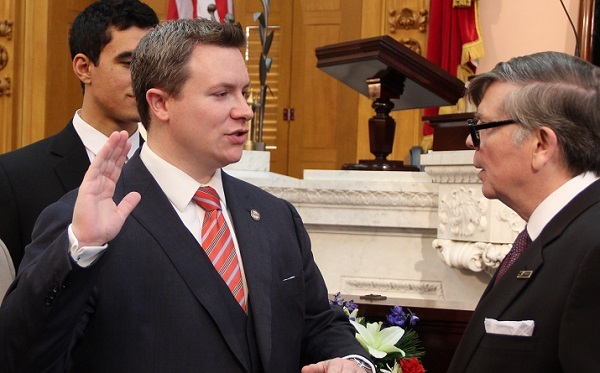 More will need to come forward, in letters to the Governor, letters to the editor, or even Facebook, if we hope to change the narrative on bills like SB127. SB127 passed by a veto-proof margin and is now before Governor Kasich who has 10 days from today to sign or veto the measure. Without action, the bill automatically becomes law. Several protests are ongoing, and opponents of SB127 are urged to contact Governor Kasich. 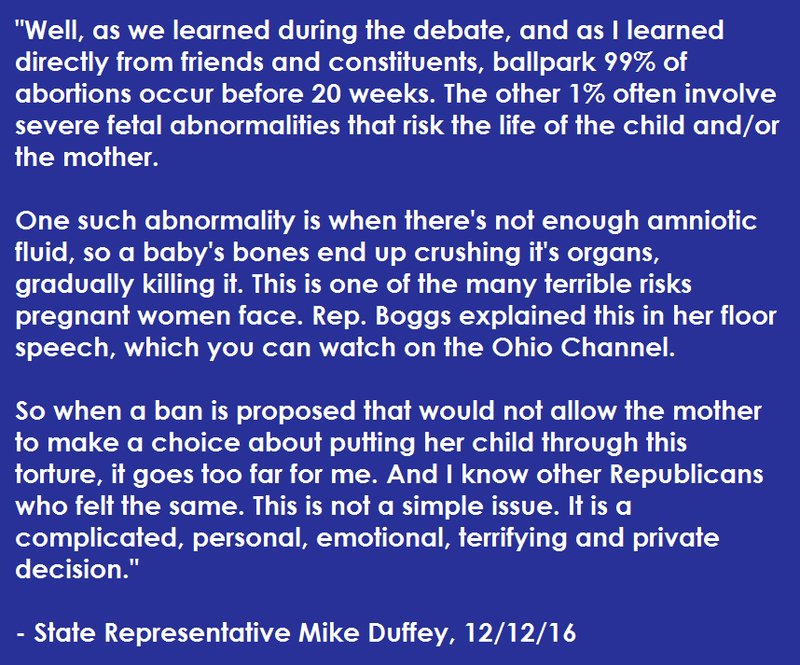 Rep. Boggs’s baby is due later this week, and many thanks go to her little one for being patient enough to let Mom stand up for women who do not have a voice.